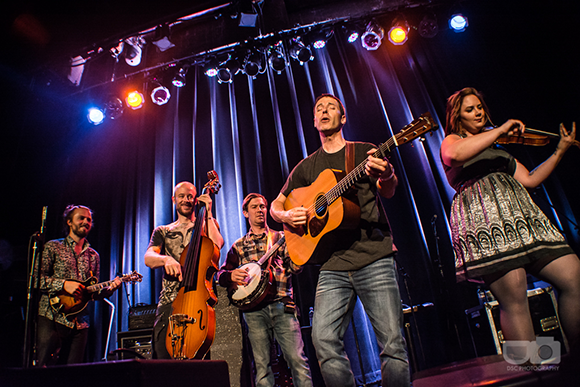 There’s only one place to be if you’re a fan of Yonder Mountain String Band as their exciting show takes place at Stage AE on Friday 3rd November 2017 – these guys are hitting the road once again to bring fans a concert that will leave you wanting more… a sensational evening of the best music from the talented members. Get your tickets as they are available to purchase now, but are bound to sell fast… there's only one place to be this coming Fall and Winter, checking out incredible live performances! "Yonder might not be the same band they were in their early years, when they were carving out a sound and picking up fans as they criss-crossed the country. Like many bands, their sound has grown and matured, taken a direction towards a more pop oriented sound. When Kaufmann picked up a bass guitar for a few songs, it almost seemed blasphemous. But YMSB has never been a band to pigeonhole themselves, and that’s why they remain a strong player on both the jam band and bluegrass circuits."